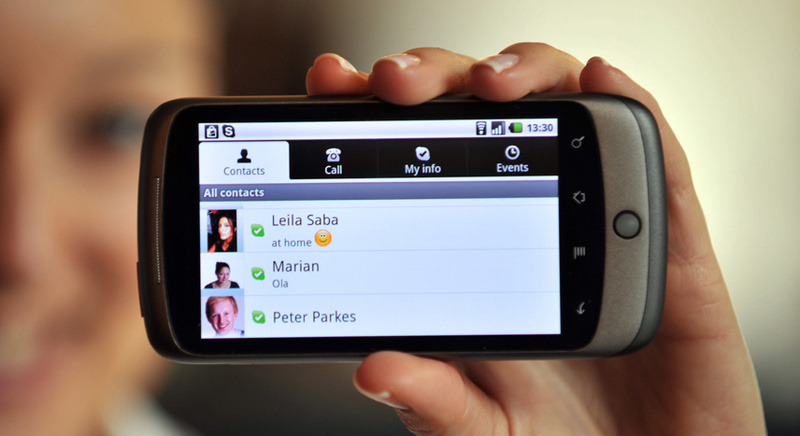 A few months ago, we brought news that Skype would be coming to the HTC EVO 4G. Now the company has released the telephony service to a wide range of Android phones. For those unfamiliar, Skype was exclusively available on Verizon Droid devices, but now anyone running Android 2.1 or higher on any network can download the app. While Skype services for desktop computers offer free Internet-based PC-to-PC calls and discounted PC-to-Phone rates, options for mobile Skype users has been fairly restricted. Fortunately, the new Skype for Android app enables free Skype-to-Skype calling anywhere there is a 3G or Wi-Fi connection. Unfortunately to call non-Skype users, U.S. customers can only do so over Wi-Fi. The app could have a huge impact on the mobile phone industry as carriers could be edged out by affordable Skype calling plans. With Skype’s subscription plans, users can make unlimited phone calls to anyone, for as little as $3 per month. In addition, the company has some pretty good deals on international calls. Skype says that it’s tested the Android app on HTC and Motorola phones but acknowledge that there are some problems with Samsung Galaxy S devices. The app can sync your Skype contact data with your phone’s address book, allowing you to make SkypeOut calls easily. My biggest problem is the lack of 3G support, which seems to be only in the US. It is a bit strange since iPhone users on AT&T are able to call using 3G. Hopefully this feature will be implemented soon since it could have quite a big impact as more and more people are beginning to migrate to Android phones. To download the app for free, go to skype.com/m on your phone or visit the Android Marketplace. Update: We were finally able to test it and were unable to make either Skype-to-Skype or SkypeOut calls over 3G. How come we can’t video chat with other skype members? I have a family member in Spain and was hoping to video chat but can’t. Will Skype allow this in the future? Eventually and it would undoubtedly be their choice to create a video app at some point. However, I’m sure they are facing struggles with carriers, who are afraid of not figuring out a way to monetize on video calls. The information was confusing and misleading. The press release and fact sheet they provided the press stated that Skype-to-Skype and Skype-to-Phone calls would only work on WiFi in the U.S. However, the description in the Android market says it does support calls over 3G and WiFi. They weren’t lying, it was just misleading. It does work on WiFi, but NOT in the U.S.
Hopefully that will get fixed soon. Skype’s Mobile iPhone App already works on 3G on the iPhone with AT&T. It also works on Verizon Droid devices when on 3G, but calls are routed routed through voice networks. Why the heck is there no video calls? Come on skype, I don’t need IM’s and sms’s, I need the video chat! Heh, was quite sad to hear that video wasn’t supported. (Wasn’t surprised though.) Check out Qik for Sprint devices. Also, checkout Fring and Tango. The latter is my current favorite. It supports video calls over 3G, 4G and WiFi across Android and iOS devices. Just want Skype though since it has the potential to work on mobile devices, laptops, netbooks, desktops, TVs, etc. Last time I tried Skype on my Droid X it allowed me to place calls over 3G but NOT wifi.